You know, I'm starting to get suspicious, folks. We've had all of these leaks. We've had all these people saying, “You know what? Mueller didn't find anything. You know what? There isn't any collusion. 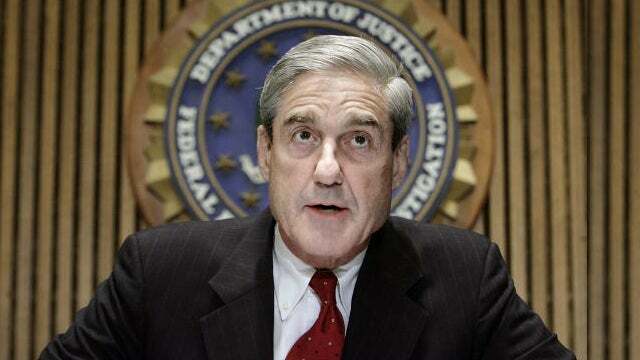 Mueller defund any collusion. This report is gonna be a big nothing.” I'm starting to get suspicious, because I don't trust these people. I don't trust these people in the media. and I don't trust their leaking sources. I don't trust the genuineness of these people at all. They trick play all the time. They are masters of deceit. They engage in psychological manipulation, and I'm gonna wait. I'm not gonna sit here and join the chorus that Mueller didn't come up with anything. 'Cause this guy can invent anything he wants. He's already invented a charge that I think he applied to Flynn, conspiracy against the United States. There's no such charge in the Federal Register. There isn't any such charge. Just made it up! He can make up whatever charge he wants. He can allege anything that he wants. Anticipointment? Then we got stories, "Hey, he's still conducting the investigation, still doing interviews. This report isn't imminent." Then you got President Trump out there saying, "Release it, release it. Whenever this thing is made available, I want the American people to see it." So we can assume from that that somebody in the White House is not very concerned about what it's gonna say. So would we sit here and think the White House could be fooled? Could the White House be tricked? Could the White House be bamboozled? That's not the question. Could there be somebody in the White House bamboozling and trying to trick Trump who he thinks is loyal? But two years? Here's the thing, folks, my problem. And I hope I'm wrong. I've never heard of an independent counsel at the end of an investigation, "Sorry, we didn't find much of what we were looking for. We found some ancillary stuff here, like Flynn and Manafort and those Russian trolls, but in terms of Trump colluding with the Russians, didn't find anything." You really think after all this time? I'll believe it when I see it. I hope it's the case. RUSH: Paul in Gainesville, Florida. You are up first today, and it's great to have you with us. Hi. CALLER: Hi. Thanks for taking my call. 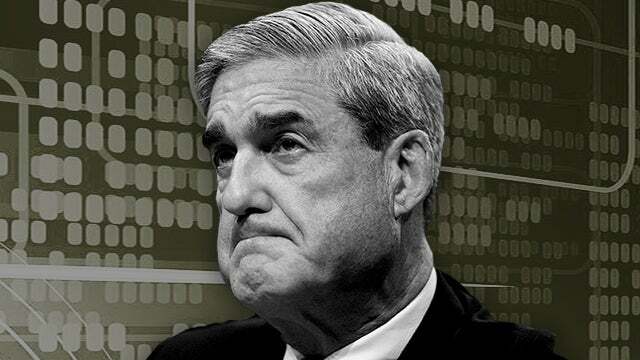 I was wondering if Mueller is holding the report for an October Surprise release in 2020. RUSH: Well, you mean October 2020? That we're gonna have to go through all this until October 2020, another year and a half before we get the Mueller report? RUSH: Ah, dunno. I think the plan, if there is a plan -- and I'm sure there is a plan -- there's a plan for Mueller to dump whatever he's got. We've already got collusion 2.0 underway. The effort to revive the dossier, that big story at Real Clear Investigations that I detailed yesterday written by Paul Sperry, a former staffer to Dianne Feinstein, some guy named Jones or something is leading this effort. It's a nonprofit. He's got all these donations from Rob Reiner and Tom Steyer, raising money left and right to keep the whole notion of Trump-Russia collusion alive after the Mueller report. It’s just another group of people who apparently think that Mueller isn't gonna come up with what they have been desperately hoping for. And that's why you have people like Pencil Neck Schiff and Jerry Nadler promising to go to places that Mueller couldn't, to investigate things that Mueller couldn’t. Wait, wait. Where could Mueller not go? Mueller didn't have any limitations whatsoever! That's what's wrong with the Mueller appointment. He was not given a crime to investigate. We've been through this a thousand times. So I don't think Mueller's gonna hold his report that long. It's gonna come out before that. But there isn't gonna be a real October Surprise 'cause every day is gonna be one from now until 2020's election. They may have some things in reserve they'll save, but there's not gonna be a period of time where there's normalcy in the campaign and then all of a sudden one day some out-of-the-blue, shocking revelation about Trump hits. They're gonna do that as often as they can. I think the whole notion of October Surprise has kind of been blown up when the two of them that they launched against Trump in 2016 fizzled. Kyle in Akron. Great to have you. You're next. Hello, sir. CALLER: Rush, it is truly a great honor to talk to you. CALLER: This is one of my bucket list things I can check off my list. I'll get straight to my point. You started alluding to Mueller could potentially create a charge against Trump. I honestly think it's gonna be a charge, but it's not criminal. It's to try him in the court of public opinion. RUSH: I wholeheartedly agree. Let me tell you what I think he's gonna do, and you tell me if this is what you're thinking. And if it's not, correct me or at least give me your thoughts. I think Mueller's report is going to feature a lot of verbiage that illustrates how perilous the United States came to being controlled by the Soviet Union, the Russians during election. How close we came to the Russians actually having an impact because of the incompetence of Donald Trump, because of the lack of moral character of Donald Trump, because of whatever character deficiencies that they believe he has. I think the report is going to be replete with warnings about how a man like this ought not be president. It won't say it in those words. It'll be written to allow the media to interpret it that way. Somebody with this degree of inexperience, with this lack of moral turpitude, with whatever they want to say, should never again be permitted to be this close to the seat of power. 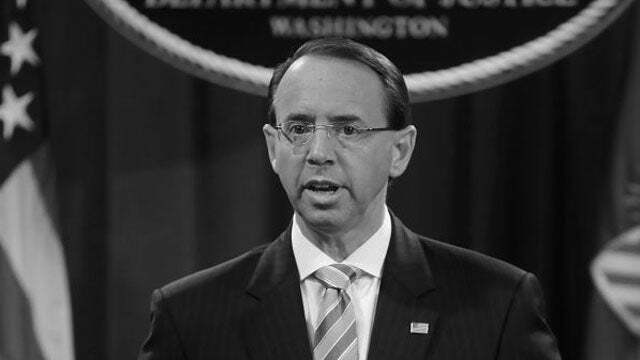 Now, it won't say it in those specific words, and it may allege various so-called criminal behavior without any evidence, of course, because the purpose of this is gonna be to create a media narrative that leads to the impeachment of Trump. Is that kind of the thing you're thinking about? CALLER: -- that could mean he's colluding with anyone. RUSH: I think that's a very prescient thought. I think the evidence we didn't discover so much collusion with Russia but the efforts on the part of the Trump campaign to collude against the Hillary Clinton campaign were frequent, and here's the list of things. Yeah. Hey, that's what happens in campaigns. Campaigns do collude and conspire with each other to beat the other guy, or girl in this case. So your thought is that the wording in the report will be an attempt to criminalize trying to defeat Hillary, which I think is pretty likely, the whole effort here to criminalize political differences. But then I'm told, no, Mueller is the most impeccably honorable man in Washington, more integrity in his little finger than in the entire world. I just haven't seen that evidence. Sorry.